When serious injury results from an auto accident, financial burden may soon follow. Under Massachusetts comparative negligence law, percentages of fault are assigned for causing an accident and a plaintiff who is 50 percent or less at fault may recover damages from the party who was 51 percent or more at fault. However, the amount of damages you can recover is reduced by your percentage of fault. An experienced Boston car accident lawyer has the resources to determine negligence in an accident. A legal team can investigate, gather evidence, interview witnesses, and when needed—rely on traffic experts or engineers to substantiate negligence. Team efforts assist the attorney with arguing in the client’s favor about accident fault percentages. Of course, higher coverage is also available—comprehensive, collision, etc. 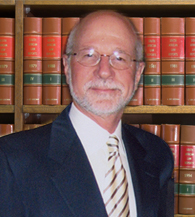 Time limitations called a statute of limitations exist for bringing personal injury lawsuits. Legal actions for auto accident injury must be brought within three years of the accident. Beyond that time, you lose your right to sue for damages. An experienced Boston car accident attorney can help maximize the compensation you receive in an accident case. Arrange a free consultation to find out about your rights. You pay no fees until we recover for you! Call 617-245-0220 or contact an automobile accident attorney in Boston online at the Law Firm of Jonathan D. Light.